Upload and share your video content with just a couple of simple clicks. Be it marketing, advice or training or anything else you have in mind! Keep everything together on your profile page, showcasing all your uploaded videos. Click for an example. No obvious telltale signs of where your videos are hosted, when you display them on your site. The player is completely generic. 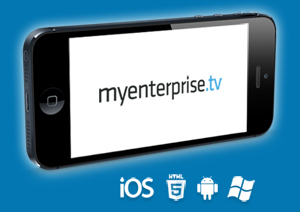 All videos are uploaded and encoded to an HTML5 standard, meaning that your content can be viewed on numerous devices. We don't like tedious ads popping up or so called "related videos" to distract your audience. You're centre stage, no one else. Upload your videos for as little as £1 per video, per month. Give us a call on 0845 508 4443 for an impartial chat.